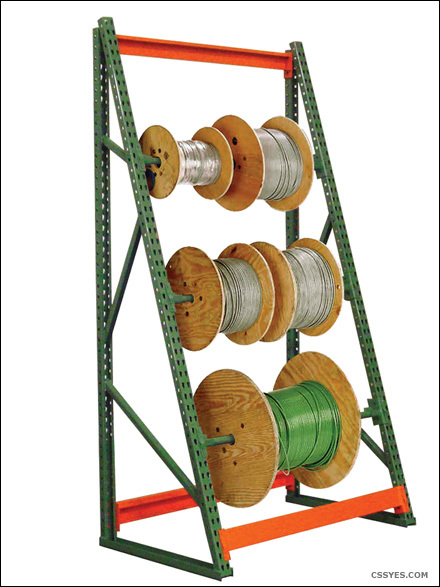 Based on Jaken’s popular FastRak, these rugged “A Frame” style reel racks are super strong and highly versatile. Heavy duty uprights are completely welded. Beams attach quickly to uprights using popular mini “tear drop” design and can be adjusted in 1-1/2″ increments. 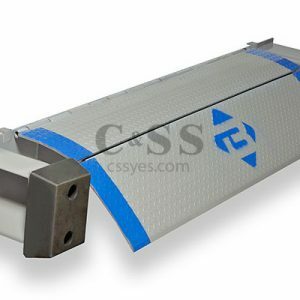 Beams also feature a built-in locking clip for added safety. 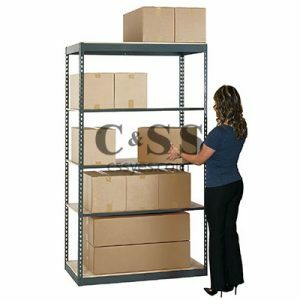 Free standing “Starter Units” include 2 uprights, 3 beams and 3 rods (36″ tall units include only two rods). Create a row of racks by purchasing “Add-On” units. Customize your rack by purchasing additional rods and brackets (2 brackets are required per rod level). 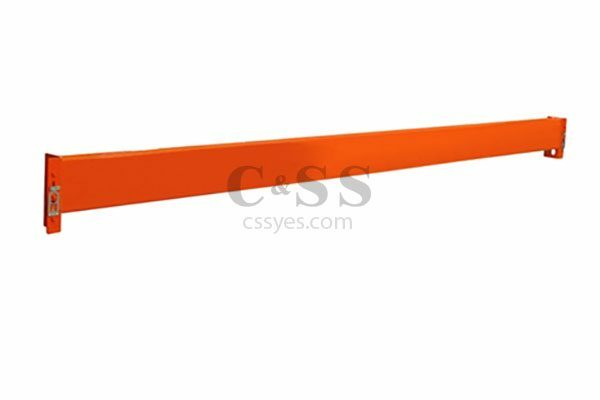 1″ diameter rod can support up to 350 lb per level. Unit capacity is 6,000 lb. Due to recent tariff increases on steel imports, there will be a 8-10% surcharge added to our prices. Please contact us for accurate pricing. 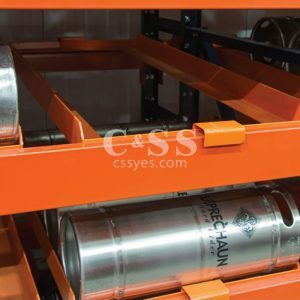 Cable reel rack maintain warehouse space clean and organized. 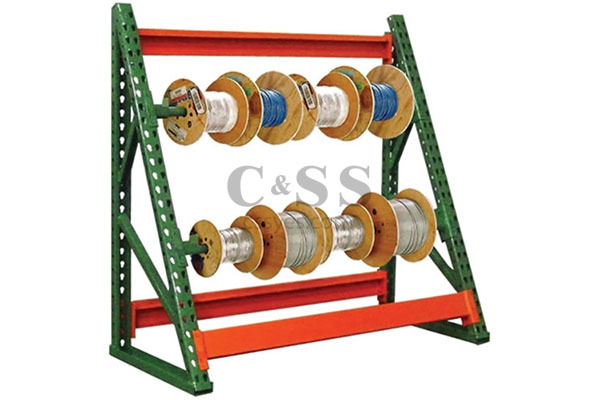 The cable reel rack is a popular solution for cabling storage. Beams attach quickly to uprights using popular mini “tear drop” design and can be adjusted in 1-1/2″ increments.